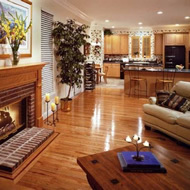 At Desert Cities Cleaning Service, we are a locally owned company in the desert with over 16 years of experience providing the best services throughout Palm Springs, Indian Wells, Rancho Mirage, Cathedral City, and La Quinta. When you make Desert Cities your choice, we do not treat you as a customer but as partner and our #1 priority for our company. Desert Cities Cleaning Services is the number one commercial, office, residential, Maid, and janitorial cleaning service in Palm Desert. We are proud to be a locally owned company where we not only give you top quality service, but also treat you as a member in our family. We are hard workers who are committed to excellence, reliability, meticulous attention to detail and stellar customer service. Your trust and satisfaction are what we strive for and that is why we make it our priority to keep our customers happy while building lasting relationships. Our customers are the reason we exist, which is why we make every effort to supply you with the best house cleaning service and meet your every need. So contact Desert Cities Cleaning Service today and become a member of our family! Like our customers, each home cleaning is unique. That is why Desert Cities Cleaning Services are specialized to meet and satisfy your cleaning needs. 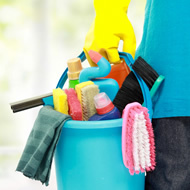 We are professionals who enjoy making your home cleaner and healthier. Our consultants interact with you as we try to uphold your expectations and uncover what you imagine for a cleaner home. Our cleaning services are thorough, precise, and consistent. If you would like to request a special service, change a date, or simply just skip a room in your area of the household, just let us know! We want to fulfill your expectations and leave you satisfied with our services. We here at Desert Cities perform grade A work and we make sure that our quality of work is top notch and nothing but the most professional Maid Services around. So sign up today! You will not be anything less than satisfied. 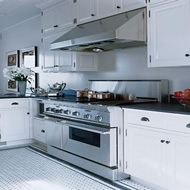 Clean appliances, counters, cabinets, tables and chairs. 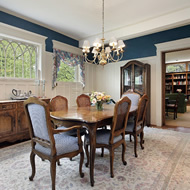 Dust picture frames, knickknacks, ceiling fans, lamps, furniture, woodwork, shelves, and baseboards. Remove cobwebs. Wash all floors and dry wood floors. 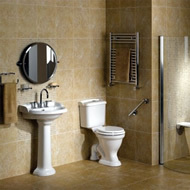 Clean and sanitize vanities, backsplashes, and toilets. Sarah Doe La Quinta, CA. Jenny Golden Indian wells, CA. To contact Desert Cities Cleaning Services, it is best to use email so we can better research and address your questions or concerns. We will give you a complimentary price quote for cleaning services that will fit your needs and your budget. © 2013 Desert Cities Cleaning Services. All Rights Reserved.